His success first as an industrious and inventive player and then as the PSL's most successful coach earned for him the nickname of "The Golden Boy". So many are asking why Gordon Igesund, who guided four different clubs to the Premier Soccer League title, has now linked up with a third division team in the shape of Cape Town's declining Santos. In a forthright answer to this conundrum, "The Golden Boy" has explained the reason for his unexpected decision - and also that a composite four-year plan is underway to get Santos back to the Premier League. "In the first instance my main motivation in joining Santos," said Igesund, who also had a two-year spell as the coach of Bafana Bafana, "is that I am now a co-owner of the club and this is an exciting new direction for me after experiencing almost everything else the game has to offer in this country. "And as evidence of this," he added, "is that two Premier League clubs approached me over the possibility of linking up with them in the present season, but after a lot of soul-searching and thought I decided to go the Santos route." And a further reason for joining Santos, he explained, was the sentimental link he had with the Cape Town club in the past when he helped them become Premier League champions against all odds - with his other League title successes at Manning Rangers, Orlando Pirates and Mamelodi Sundowns. 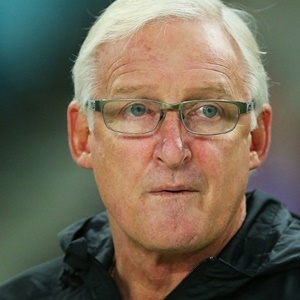 Igesund said he would take on the club's coaching at this juncture because he and his fellow directors felt this would be the best course to kick-start Santos's comeback plans - and the team had responded by winning both their games since he joined the club. "This may or may not be an ongoing arrangement," added Igesund. "We will see how it fits in with my position as one of the club's owners. "We are not heading our Motsepe League segment at this stage," added Igesund, "but we are in with a chance of promotion and it would be great to get back to the PSL's National First Division in my first season. "But whether this happens or not, we are confident of being back in the Premier League after four seasons - if not before." And "The Golden Boy" says this would complete his circle of soccer success as player, coach and now club owner.